Spoon a thick layer of sauce into a baking pan. Lay out the fish on top of the sauce. 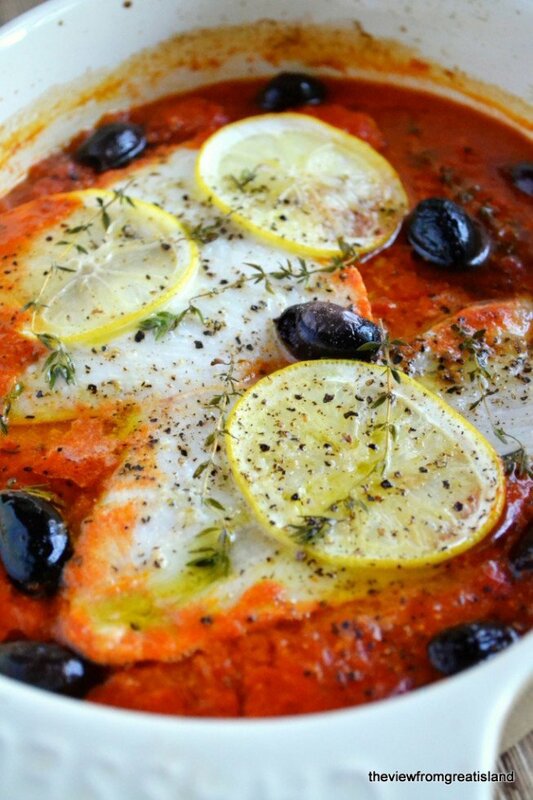 Top with lemon slices, olives, and thyme. Sprinkle with salt and pepper. Bake for about 15 minutes until the fish is done, and then run the pan under the broiler for a minute or two to get the whole thing sizzling.